FREE cancellationNo DepositA haven of tranquility. Treat yourself to a haven of tranquility in which to unwind. 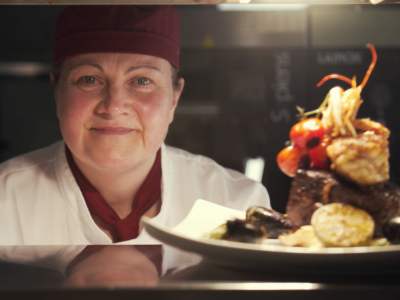 Your evening dinner is in our award-winning Seasons Restaurant created by our Executive Chef Siobhan Doyle Devereux at the Weekend and Forthside Bar Midweek. Each room is lavishly furnished, spacious and complete with complimentary Wi-Fi as standard. Treat your body and mind by engrossing yourself in surroundings which are both revitalizing and tranquil. The Serenite Beauty Rooms boasts a selection of customized beauty treatments & healing therapies for both men & women. An appointment is required for beauty treatments and massage. Free parking on site. Please note children are on a B&B basis only.